The new Scotty Bait Board is a great multipurpose workspace for all of your tool, tackle and gear prep needs. 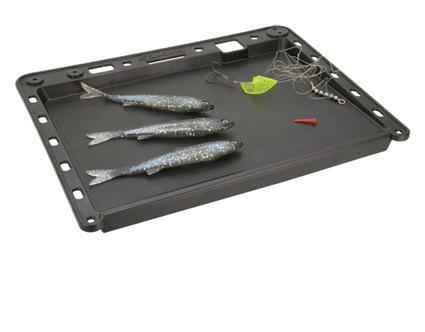 The Bait Board easily mounts to any of the Scotty post mounts and the exterior tray walls let you cut bait and prep lures in a tidy, contained space. Keep knives, pliers, hook sharpeners and other sharp objects organized in between use for added safety. You can easily customize your Bait Board to the right height and angle by attaching any Scotty® adjustable extender, such as the 429 Gear Head Mount Extender. So go ahead and speed through the prep work.